Karuna is a Sanskrit word. It means compassion. It is believed that the combination of wisdom and compassionate action bring about spiritual enlightenment. Karuna Reiki® is an advanced form of Reiki energy healing. It evolved from the original teachings of Dr Mikao Usui and those of Tibetan energy healing. When combined in treatment, Karuna Reiki® and Usui Reiki complement and enhance each other. Both systems can be used within a single treatment to invoke powerful healing energy. Training in Karuna Reiki® exposes the student to transformational energies which raise the vibrational frequency and enhance spiritual and energetic sensitivities. 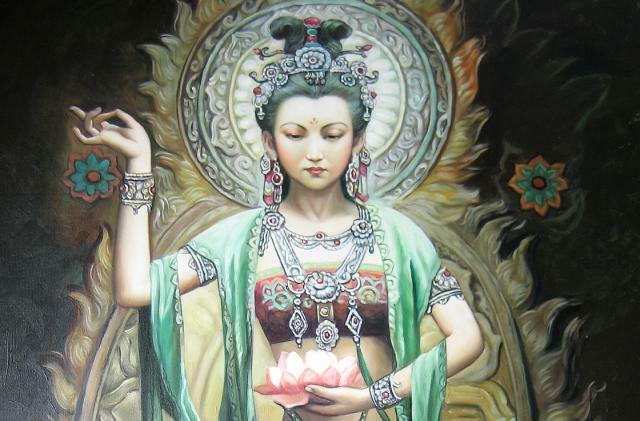 The student is exposed to the nurturing and compassionate energies of Bodhisattvas such as Kuan Yin and the Green and White Taras. As an advanced form of energy healing, Karuna Reiki® training is available to those who have completed all Degrees of Usui Reiki and hold Master Teacher certificates. An £80 deposit is required on booking either of these courses. Proof of Teacher Degree Usui Certification will be required. The system of Karuna Reiki® was developed by William Rand of the International Centre for Reiki Training (ICRT) in Michigan, USA. Karuna Reiki® is a registered trademark of the ICRT. As the course is trademarked, it is taught as stipulated by the ICRT. The training manuals and certificates with which you will be issued are official documents produced by the ICRT. On completion of your course you will be registered at the appropriate level with the ICRT.